Take a peek inside February's kawaii subscription box! Here to ensure your Valentines is sweet is this kawaii Gudetama Sweets plushie! 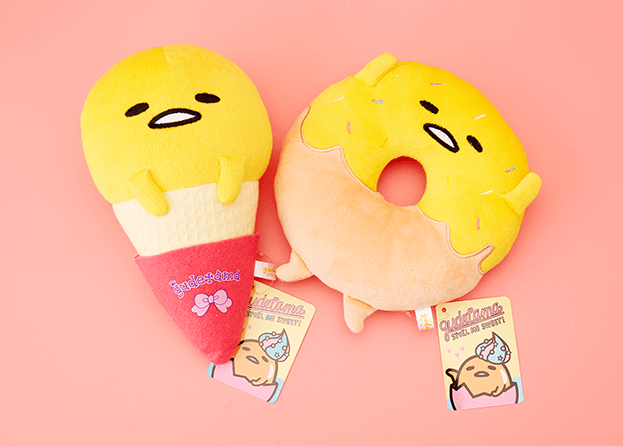 You’ll get either a delectably sweet Ice Cream Gudetama or a tasty Donut Gudetama! Whether you keep him for yourself or gift him to a loved one, you’re sure to feel spoilt! Saving up for a valentines present or date? We got you covered! With this Kawaii Money Box to put all your spare change in you’ll be saving money in no time! There’s 7 different kawaii designs to get including Hello Kitty, My Melody, Rilakkuma, Korilakkuma and the Sumikko Gurashi gang! 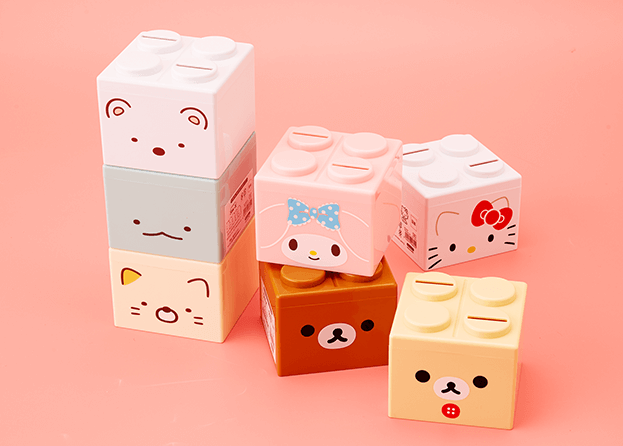 The cute block style also means they’re stackable! What’s sweeter than the candy pink Kirby? This clear Kirby Mini Pouch is great for storing small things you tend to lose track of easy like hair ties and bobby pins! You could even put candies in there and is great when you’re packing light too! 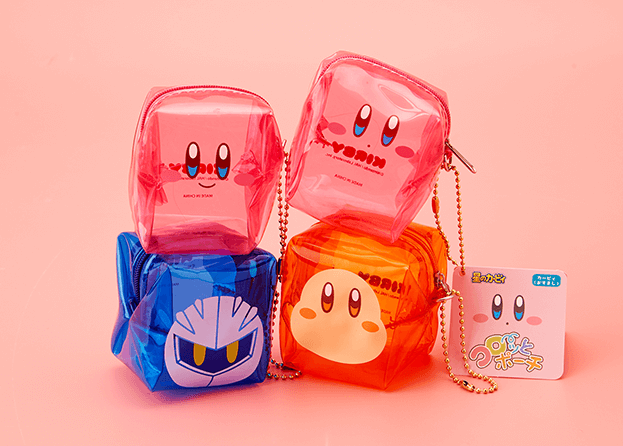 There’s 4 different Kirby and friends designs to get! 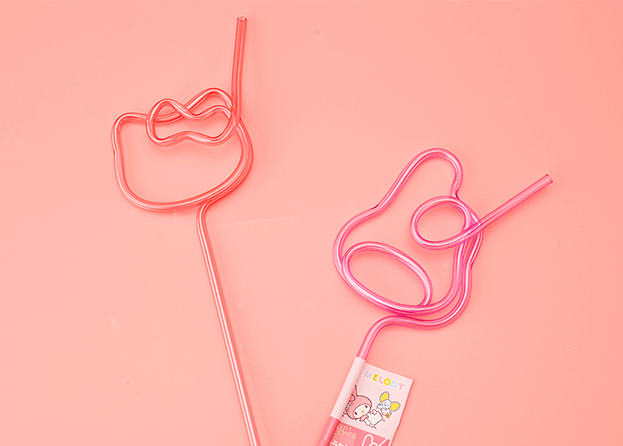 This straw is no ordinary straw… It’s a super kawaii straw in the shape of Hello Kitty or My Melody’s face! You can use this cute straw to sip your OJ in the morning, or make a kawaii multicoloured milkshake to sip from if you’re feeling extra~ Either way you’ll be sipping in style! Received a bunch of Valentines presents from your secret admirers and have no way to carry them? 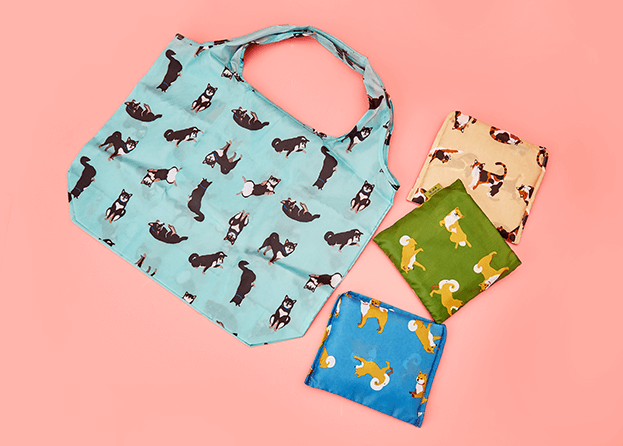 Use this Cute Pet Eco Bag to hold them! You’ll get 1 of 4 different kawaii Shiba Inu and cat designs! 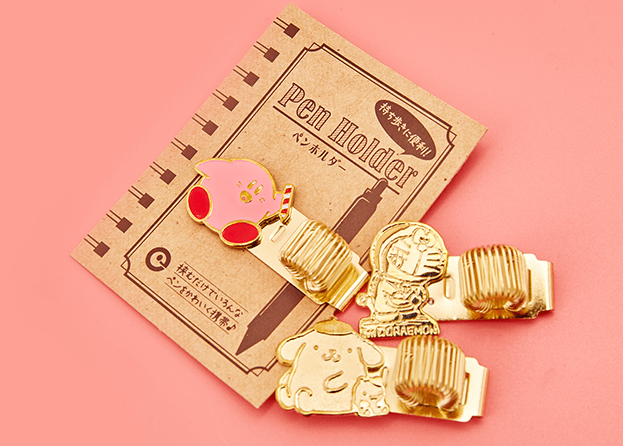 This Kawaii Pen Clip means you’ll no longer have to deal with the struggle of not being able to find your pen in your bag! Just slide the pen into the holder and clip it to your notebook, you’ll be able to write love letters anywhere! There’s 9 different designs you could get, Sanrio, Kirby and Doraemon!